Home » News » Dining in the Dark Success! Our Dining in The Dark event, held at Escoffier Restaurant and Coastline Brassiere on Thursday 21st March was a hugely successful evening, raising nearly £2000! The successful event was run in association with Bournemouth and Poole College. 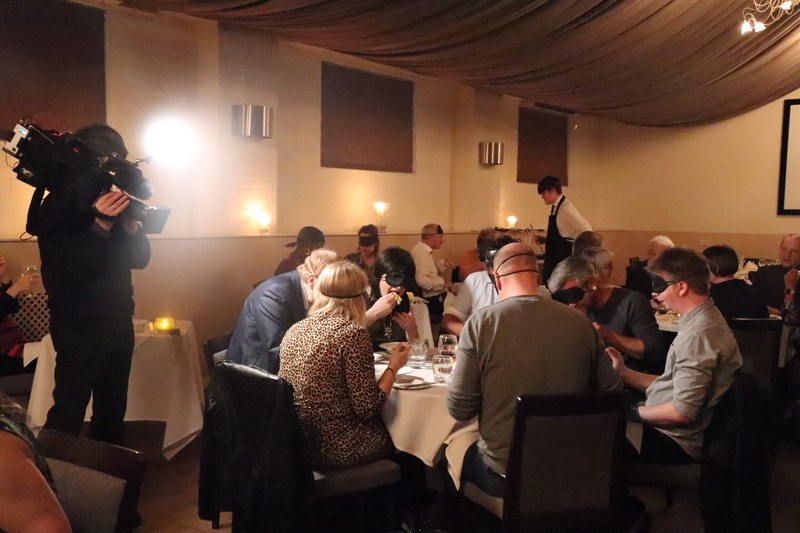 Our 42 guests were welcomed to a dimly lit room, to approximate something similar to what it is like to live with a visual impairment, with the added option of being completely blindfolded throughout their meal: effectively to simulate blindness. We would like to thank all of our guests, the fantastic staff and the amazing students at Escoffier who made the night such a huge success! 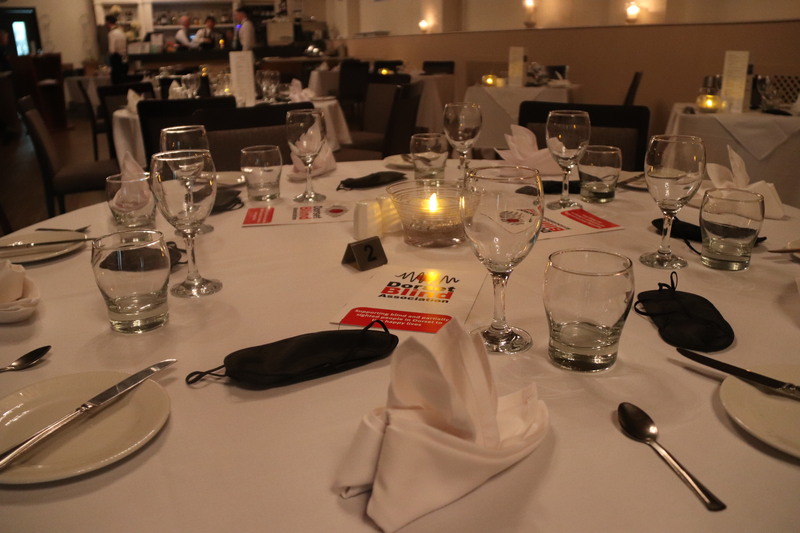 Click here to see the photographs from the night!